Organic Certification is governed by a set of international standards covering organic production – originally food but spreading into other markets such as body care & cosmetics – and its subsequent handling and processing; these standards are set and policed so that any food, or other product, marketed as organic complies with strict conditions; these protect the rights of organic producers and ensure that consumers can be certain that they are buying a certified organic product. EU Regulation 2092/91 legally defines the basic standards of production and processing and the requirements for control and policing, both for home grown and imported produce. 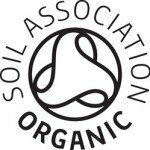 The United Kingdom Register of Organic Farm Standards (UKROFS) is the government control body responsible for implementing the EU Regulation in the UK and it also licences independent accreditation bodies to regulate organic food production; the largest of these and one of the strictest is the Soil Association (Licence P938), under which our products are certified.